Argon Ho is VP Sales, Strategic Customers of SAP Hong Kong Co. Limited. Prior to joining SAP Hong Kong, Argon was General Manager, Cisco Hong Kong and Macau, leading the strategy and field sales operations in these markets. With more than 20 years of experience in the IT industry, Argon joined Cisco in 1998 and has held various leadership positions with Cisco in different sales areas for Hong Kong and Macau, including General Manager of Commercial, Head of Partner Organization and Head of Marketing. Before joining Cisco, Argon held various management positions during his time at Nortel Networks and Newbridge. Argon is also dedicated to contributing his expertise and experience in the IT industry to the community. He actively participates in multiple non-governmental organizations (NGOs) and industry associations. 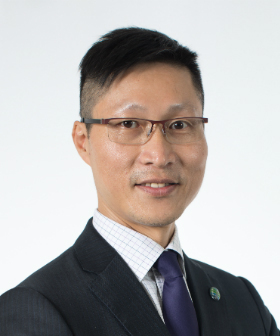 He is currently on the Innovation and Technology Training Board of Vocational Training Council, and Expert Review Panel of Hong Kong R&D Centre for Logistics and Supply Chain Management Enabling Technologies Limited, and is an active member of the Hong Kong Computer Society and Hong Kong Information Technology Federation. A native of Hong Kong, Argon holds a bachelor’s degree in Computer Science from the University of Hong Kong and an MBA from the University of Strathclyde. In his leisure time, Argon enjoys golfing, badminton, swimming, hiking and reading.